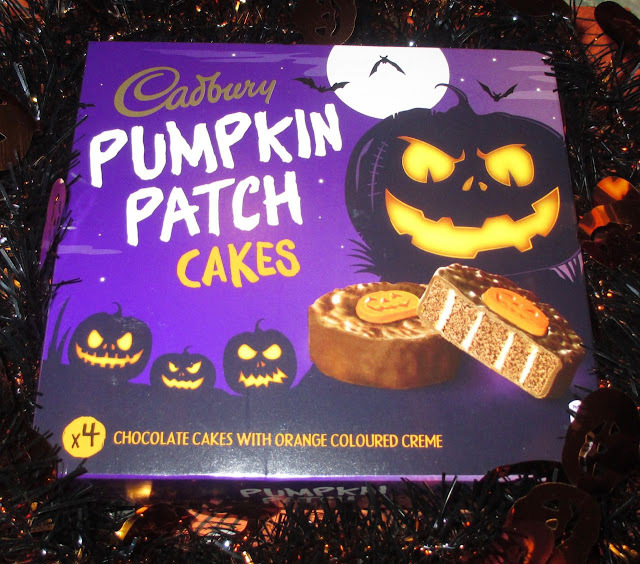 So these new Cadbury Pumpkin Patch Cakes certainly stood out in the shop and I couldn’t resist picking them up for Halloween treats. They consist of a slice of chocolate roll, covered in chocolate and served as individual portions. I tucked in. After I bit in I realised that I couldn’t taste any orange. I went back and had another look at the packaging and I realised it said that these cakes were filled with “an orange colour creme”. I had misread this and assumed that it would be orange flavoured, but it is actually just coloured. I hadn’t noticed the colour inside to be honest. These are nice chocolate cakes, with a sweet pumpkin decoration. The box is probably the most well themed part of the product, as the cakes simply have one pumpkin decoration on each one. Sadly you tend to serve cakes on a plate so guests wouldn’t see the fun box. I was disappointed that there wasn’t any more theming on the actual cake, they didn’t even have a different flavour, just chocolate with a plain creme. 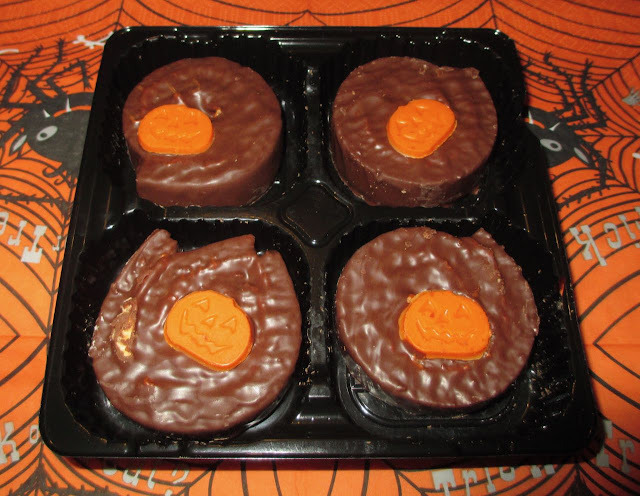 They are nice because Cadbury chocolate cake is nice, but they score low for Halloween magic once the box is open.